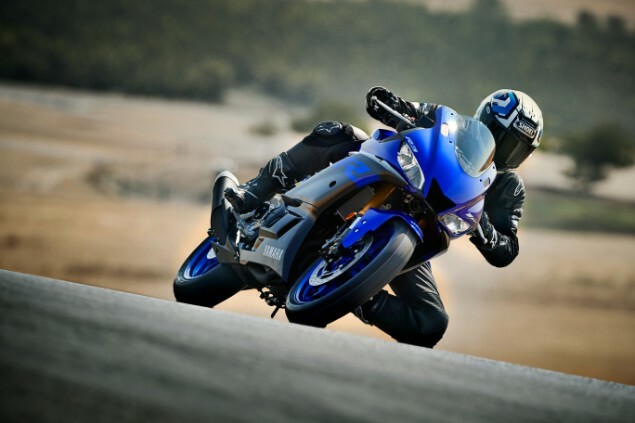 The motorcycle world is a changing place and, as many race fans will know, so is the middleweight sportsbike category. Last year saw the introduction of the World Supersport 300 class in the World Superbike championship (which was won by Ana Carrasco, making her the first female motorcycle world champion) and many manufacturers see this new generation of smaller capacity sportsbikes as crucial to the future of two-wheels. Why? Due to their small size, light weight and budget price tags, they appeal not only to the younger European riders so desperately needed to boost the industry, but also the emerging markets in the Far East and that’s where the new growth in sales is to be found. And is it for this reason that the WorldSSP300 class is so hotly contested and why Yamaha has given their YZF-R3 an update for 2019, just four years after its launch in 2015. What’s been changed on the YZF-R3 for 2019? Without being too harsh on Yamaha, it does have to be noted that aside from the way it looks, the R3 is pretty much unchanged. The 321cc liquid-cooled four-stroke parallel twin motor is housed in an unaltered tubular steel chassis and the wheels are the same as before and so, disappointingly, are the two-piston brakes. At the front end the KYB suspension is now inverted, which is good news, and a bit of the soggy feeling has been removed from both the shock and forks through stiffer settings while the riding position has also been made a touch sportier with 22mm lower bars. 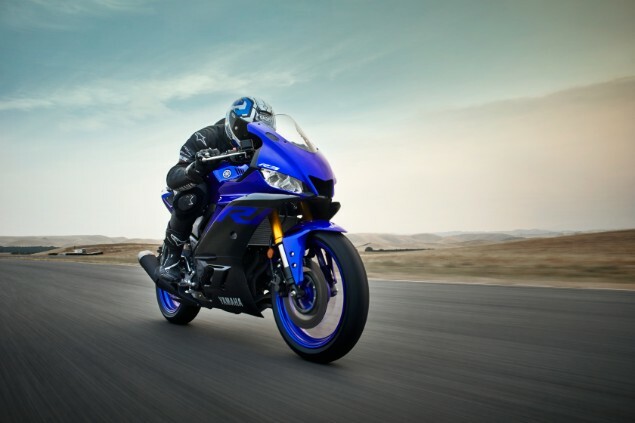 However the biggest change is that the R3 now looks far more like the firm’s flagship sportsbike, the YZF-R1, and on this front you have to say Yamaha have knocked the ball out of the park. From a few feet away, or as it passes you on the road, the YZF-R3 looks amazing and this is a major selling point for the bike. Its new fairing, which Yamaha claim has 9% less drag than before for a higher top speed, mimics the larger 1000cc YZF-R1 superbike’s lines and even has the same style of front air scoop as Valentino Rossi’s YZR-M1 MotoGP racing bike. Add to this a new tank that is more sculpted and some very smart paint schemes and if you are after an easy-going race rep, the R3 certainly ticks all the right boxes. Does the bike live up to the visual appeal? A lot of its European customers are in the 20-24 age bracket and everything about it is targeted to appeal to this audience. Its A2-compliant parallel-twin engine makes a reasonable 41.4bhp with 21.9lb.ft of torque and is designed to be vibration-free and easy-going, making it wonderful for city use. This user-friendly power delivery is matched to a slick gearbox and light clutch and despite its sporty looks, even taller riders will find the riding position nice and roomy while the low 780mm seat height and 169kg wet weight is reassuring for those who lack confidence. If you want hassle-free city motoring, with the added incentive of claimed economy figures of 74mpg, the R3 is on the money. And it also works outside of suburbia. How does the R3 cope out of the city? On open roads the R3 is surprisingly adept in the bends. Its new suspension is more supportive without going over the top in terms of its stiffness while the riding position is also a little more focused without sacrificing comfort levels. The combination of decent Dunlop Sportmax tyres and the R3’s wide wheel rims give you the confidence to scrape a slider (remember, this is a bike that races on the world scene with minimal changes), however away from the World SSP300 grid, this isn’t going to be the main focus of rider’s attention. The 2019 YZF-R3 is essentially a previous generation that has been made to look a little bit racier and that’s about it. 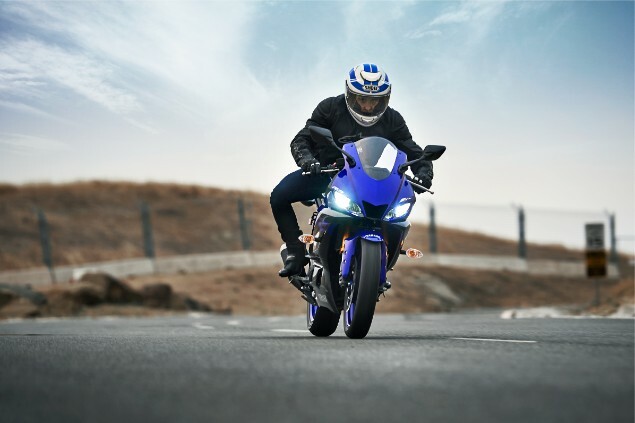 While there is nothing wrong with this as the older model certainly hit the mark, it appears Yamaha has pulled a few punches and should possibly have pushed the boat out further, especially when you look at the R3 next to the YZF-R125, which was also updated for 2019. 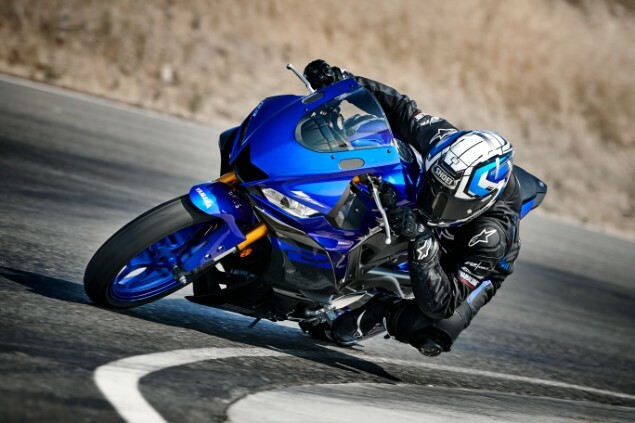 You can read the full review of the YZF-R125 HERE. 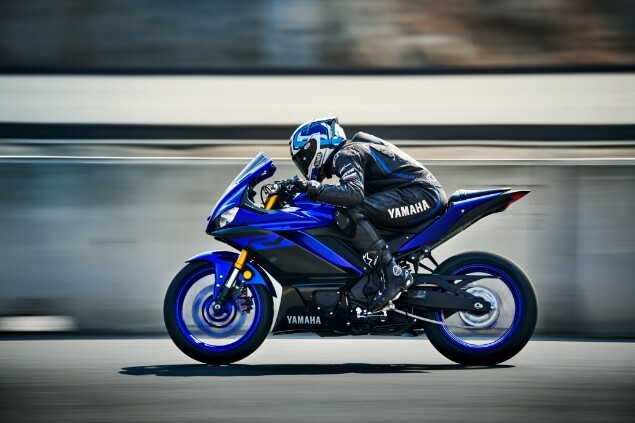 The YZF- R125 carries a four-piston radial front brake, which the R3 lacks, and that is a bit of a let down on a bike that Yamaha is pitching on the world scene as their sportsbike for future generations of younger riders.